Radio Observatory is located about with. Gaidary Zmiev district, Kharkiv region. (In 22 m) and from about. Grakova (remote observation point). The structure of the observatory includes complex for remote sensing of near space ( National Heritage of Ukraine ). 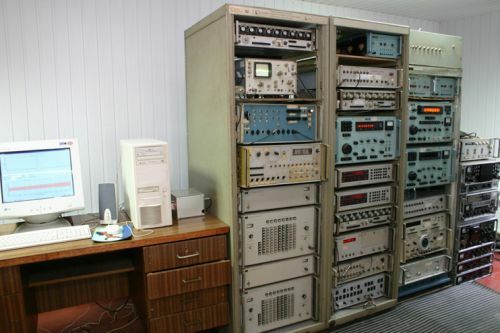 The complex is used in the educational process at the Radiophysics Department: here are performed laboratory work, students are learning radio engineering practice, measurements are carried out, the results of which form the basis of qualifying works of bachelors in the direction of preparation “applied physics” and diploma works of masters on specialty “Radiophysics and Electronics”. The results of studies that have been produced using “complex”, “included in the lecture courses. 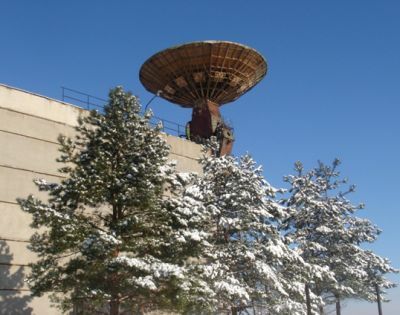 The combination of technical capabilities “Complex …” and scientific and technological bases of Kharkov scientific organizations – RIAN NASU, KNURE, Institute of Ionosphere, IRE NASU – Kharkiv puts on one of the leading places in the world in the field of remote sensing near-Earth space.